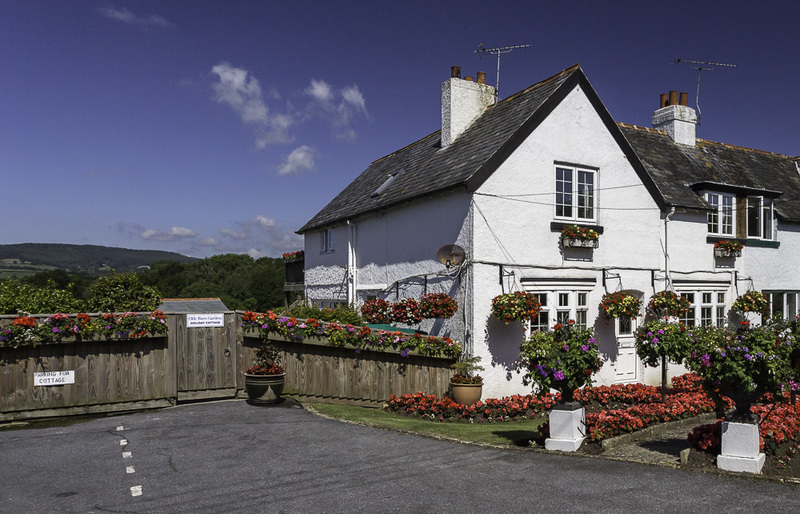 Self catering holiday accommodation in South Devon, UK. 3 double bedrooms, 2 receptions, conservatory, fitted kitchen, Jacuzzi, deck, BBQ, patio garden, off road parking. Child and baby friendly. Close to sea and beaches and all amenities. 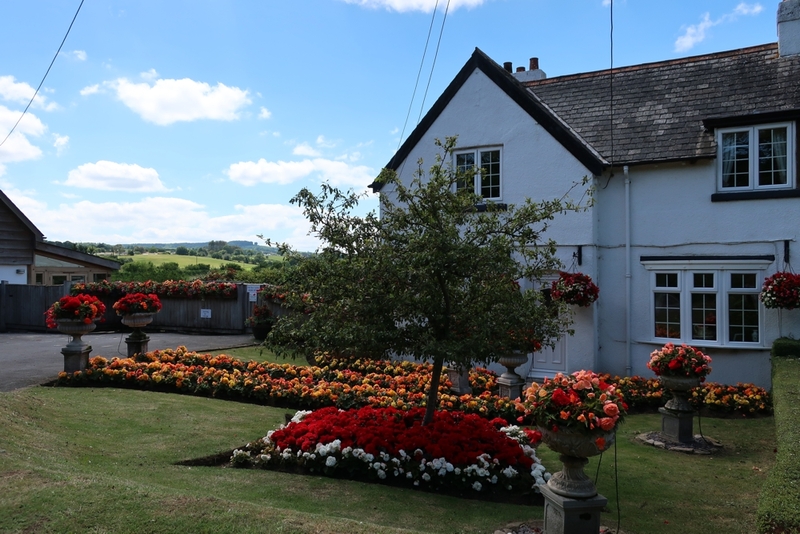 Olde Barn Gardens Dawlish Holiday Cottage is conveniently located between Dawlish & Starcross and is celebrated for it spring, summer and autumn displays of flowers and hanging baskets. 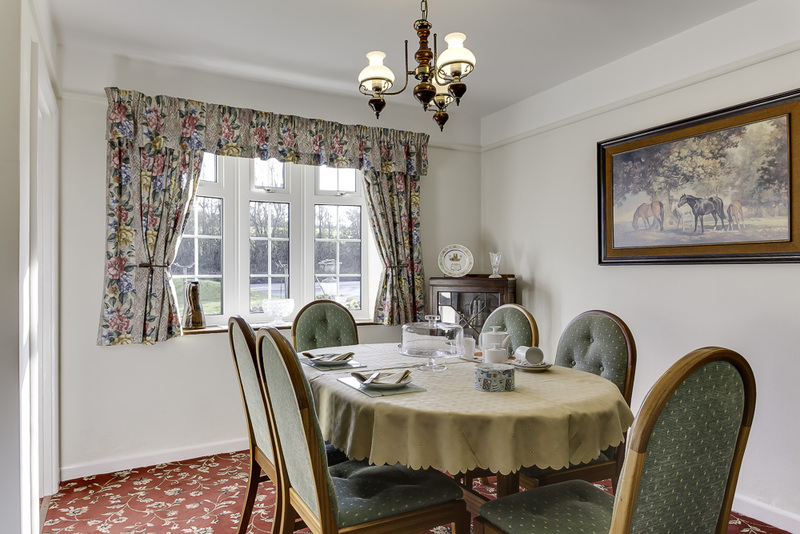 Accommodation comprises of a separate Lounge, Dining Room and Kitchen opening out on to a large Conservatory overlooking the garden. Additionally on the ground floor is a WC and utility room. 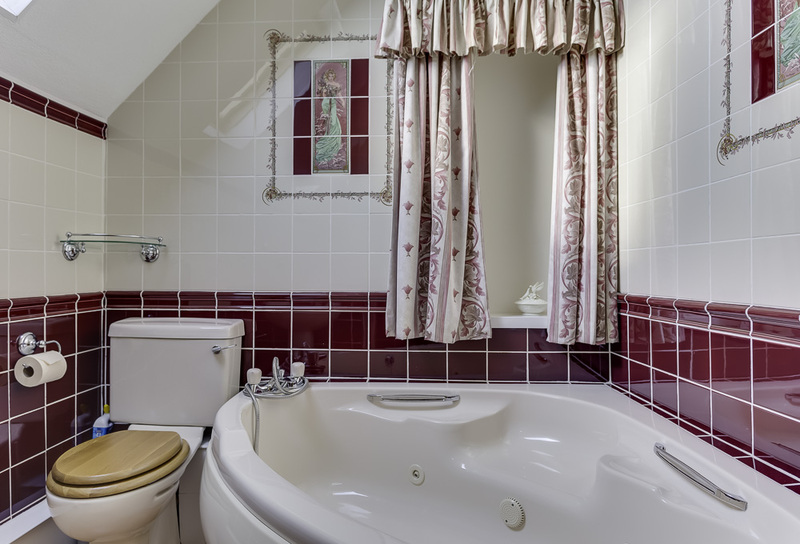 Upstairs there is a family Bathroom with Jacuzzi bath and three bedrooms. The Master Bedroom is en-suite with a modern walk-in shower. 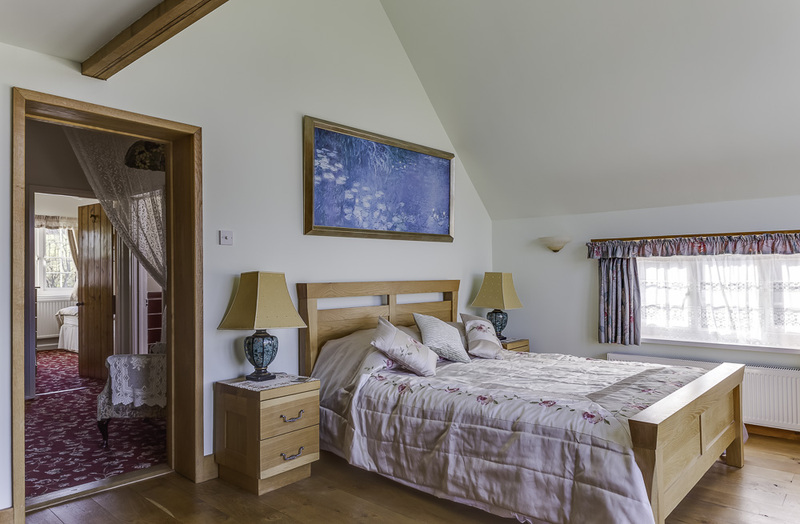 The very large Master Bedroom is fitted out in solid oak with bespoke wardrobes, TV and its own balcony with magnificent views of the countryside and stairs leading to the garden. 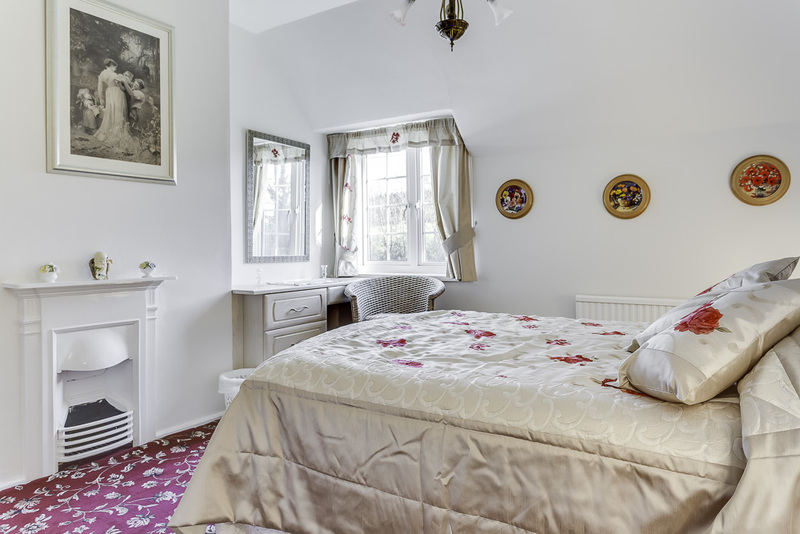 The Second Bedroom has a double bed, fitted wardrobes, TV. The Third Bedroom has 2 single beds (these can be moved together). Facilities: Wifi and broadband, dish washer, central heating, automatic washing machine, tumble dryer, ironing board and iron, fridge, freezer, kettle, microwave, electric cooker, 4 TV's with FreeSat (in the Lounge, Conservatory, Master Bedroom and Second Bedroom), DVD player in Lounge, child-proof gates at top and bottom of the stairs, baby high chair, cot, all bed linen, tableware, cutlery, pots / pans etc are provided (but not towels). 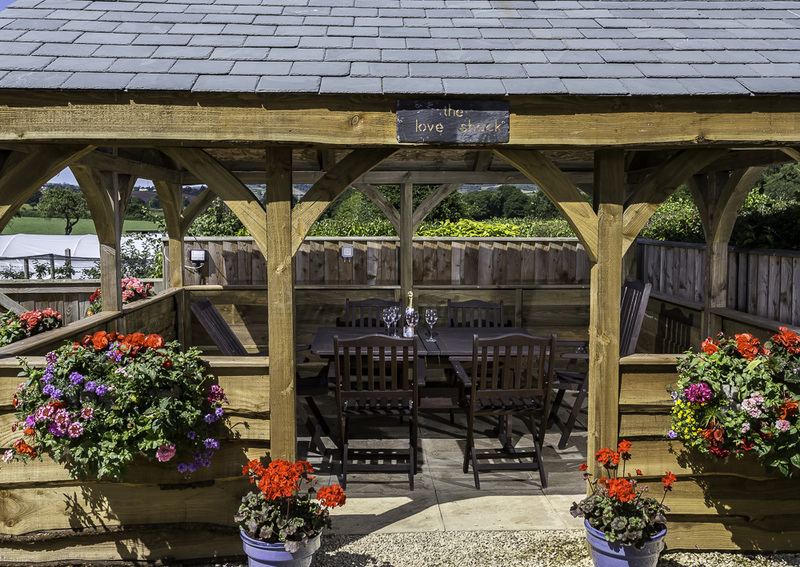 In the garden there is a covered eating area with table and chairs for 6 with overhead heater, BBQ and chimenea, sun beds and flower beds. Off-road private car parking for 3 cars. 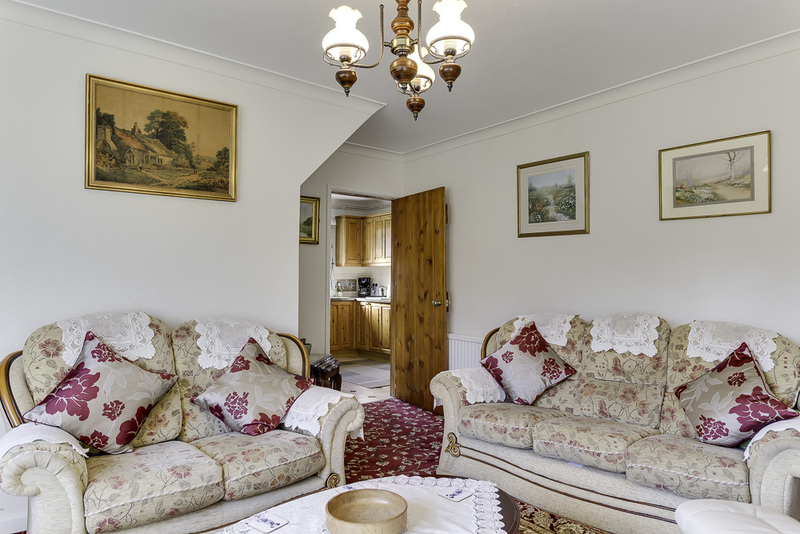 A welcome pack of milk, coffee, tea, homemade biscuits and cake, and a bowl of fresh fruit is provided upon arrival. We are pleased to announce we are members of Britian's Finest. Click on thumbnails below for an enlarged picture (best viewed in Internet Explorer or Chrome). 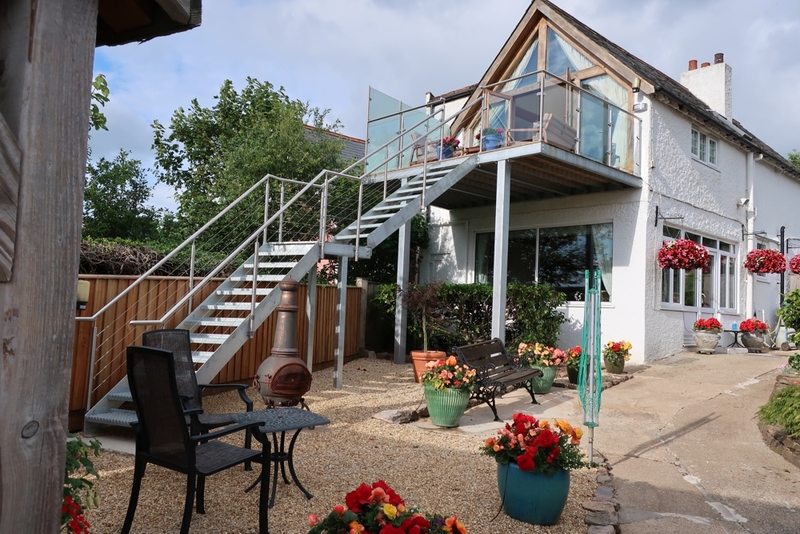 Olde Barn Gardens is ideally situated on the A379 between Starcross and Dawlish, just a 2 minute drive from the beach of Dawlish Warren , where there is a Wild Bird Sanctuary bordering the long stretches of golden sands at the mouth of the river Exe Estuary. The pretty seaside town of Dawlish where the famous black swans hold court is just 5 minutes away. A further 5 minutes along the coast are the lovely beaches of Teignmouth and Shaldon. Teignmouth has a wonderful beach / playground for young families. The English Riviera (Torquay, Paignton, Brixham) is also within a 30 minute drive. For the more energetic, Dawlish is gifted with a riverside cycle path which passes through the scenic Powderham Castle, along the estuary in Exeter where an interesting days shopping is guaranteed. Or perhaps a short Ferry trip to Exmouth beckons. The stunning views of Dartmoor are also just 40 minutes away. There is a Sainsbury's supermarket within 1 mile. You may view a map of our location and get your driving instructions from this link to Google Maps . For your SatNav, our post code is EX7 0NZ. Safe driving! Our Terms and Conditions are available HERE. By booking you have agreed to be bound by them. We strongly advise you to take out independent travel and cancellation insurance. We regret that we can not take pets and the property is strictly no smoking. We operate on a weekly cycle - Saturday to Saturday each week. Arrival after 15.00pm on Saturday and depart by 10.00am on Saturday. We may be able to accommodate alternative changeover dates out of the main season - please telephone us on +44(0)1626 891503 to enquire about this option. Our current rates are shown below. If you are a party of 2 - 4 people we offer special rates out of the main season. 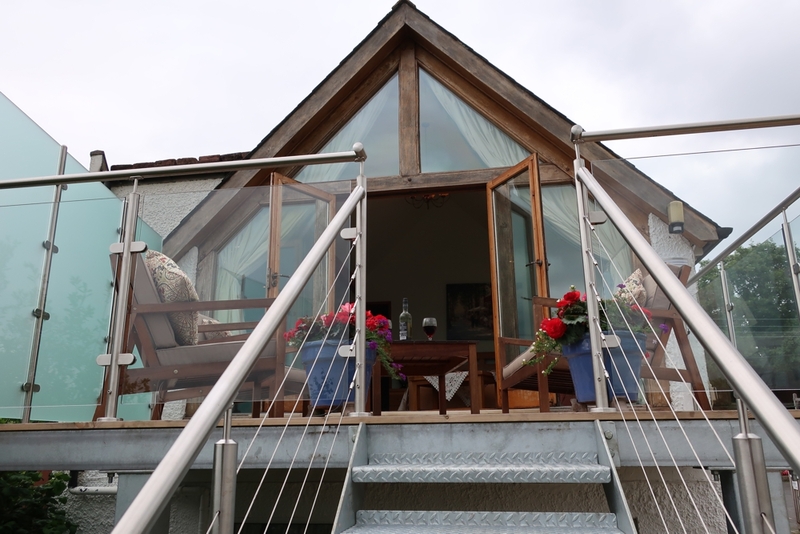 We will accommodate short breaks (of 2-4 days) out of the main season and, as we run a 3 tier tariff, the price quoted will be 2/3rds of the weekly rate. There will be a surcharge of £60 per cot per week for parties over our maximum occupancy of 6 guests. You can check our current availability and confirm your booking in our calander below. We have three methods to book your holiday. The booking form is available as both a adobe.pdf and a word.doc document. Step 1. Check availability and prices by clicking here. Step 2. Download, print, complete and sign this booking form. If you would like us to post you a printed booking form, please contact us. Step 3. 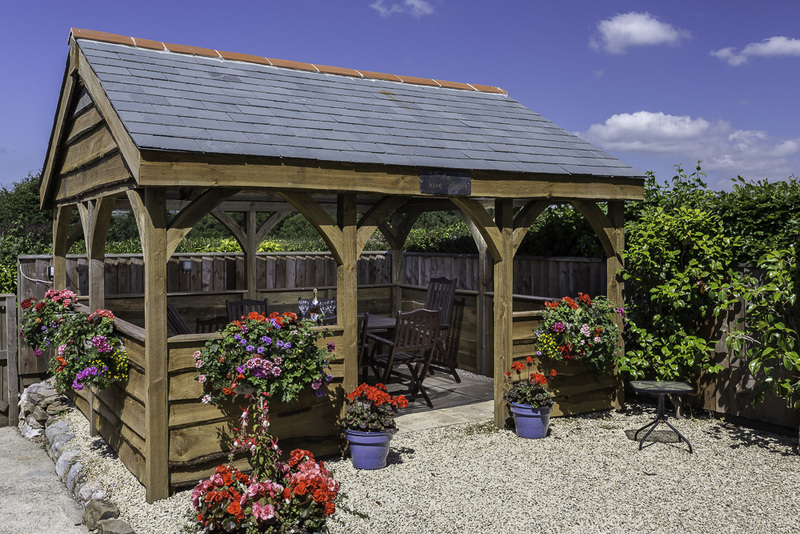 Secure your booking by posting a cheque of £100 as a deposit to Peaches Barn, Olde Barn Nurseries, Exeter Road, Dawlish, Devon, EX7 0NZ, United Kingdom. Please make cheques payable to M.J. and L.P. Disney. Step 4. We will the post you confirmation of your booking. Please bring this with you. Peaches Barn, Olde Barn Nurseries, Exeter Road, Dawlish, Devon, EX7 0NZ, United Kingdom. Please make cheques payable to M.J. and L.P. Disney. Step 3. 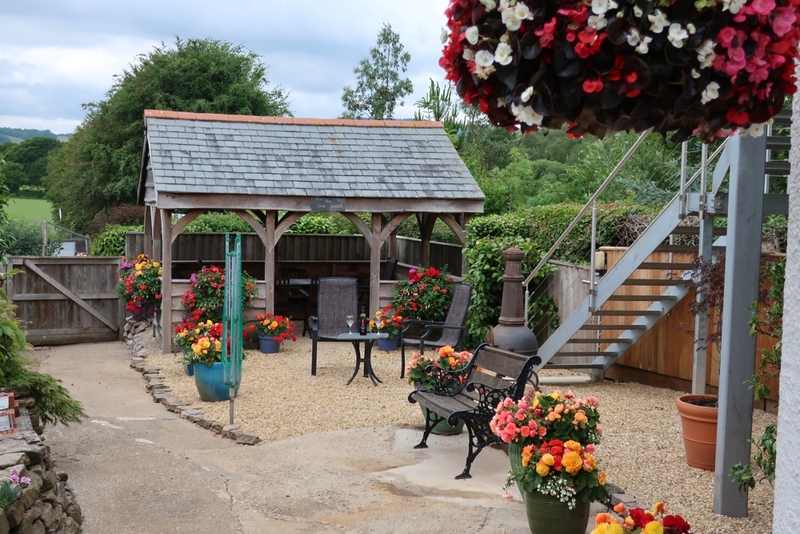 Secure your booking by posting a cheque of £100 as a deposit to Peaches Barn, Olde Barn Nurseries, Exeter Road, Dawlish, Devon, EX7 0NZ, United Kingdom. Please make cheques payable to M.J. and L.P. Disney. Make a note that you want to pay by Bank Transfer. Step 4. We will the post you confirmation of your booking togther with our Bank details. Please bring this with you. Step 2. Use the PayPal button below to send us your £100 deposit (per week) to secure your booking. Step 4. We will the email you a confirmation of your booking. Please bring this with you. If you prefer, you may pay the remaining balance via the "Send Money" function in your Paypal account. Send your remaining balance to oldebarnnurseries@sky.com. In the unlikely event of a problem with your booking we will contact you as soon as we possibly can and will refund any monies in full if we cannot accommodate your needs. Only our confirmation of booking is your guarantee that you have secured your holiday. Please do not make any further travel arrangements until you have received this confirmation. If there are any problems please telephone us on +44(0)1626 891503. Here are a selection of remarks from our Comment Book. What a wonderful cottage! We received such a warm welcome from Linda & Michael complete with cake and cookies. 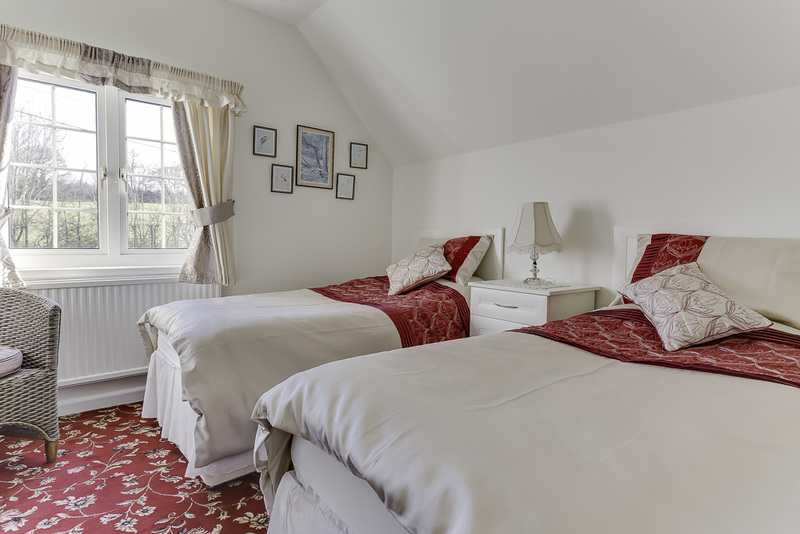 The cottage is immaculately clean and well equipped with everything you could possibly need. The master bedroom is outstanding with its beautiful views and the balcony is the perfect place to sit and watch the sun come up in the morning and set in the evening. The garden is stunning and the undercover eating area is the perfect place to sit and relax and have a bbq. Angie, Steve & family 11/8/2018. Wow what a find! I thought from the Internet advertisement and pictures that we had dropped on and when we actually arrived we weren't disappointed. We recieved a lovely welcome from the owners Michael and Linda and we're shown around what is a beautiful cottage. There was a homebaked cake with cupcakes and cookies for the children which were a very welcome treat. Also they provided fresh fruit and milk. The cottage itself is stunning both outside and in. Space is in abundance and the cottage is spotless. The master bedroom is amazing with the most wonderful views to wake up to. Everything is thought of and the whole place is extremely child friendly. The garden is gorgeous with flowers everywhere and a lovely under cover eating area perfect for a bbq on a summers evening. All in all a fantastic base from which you can explore the many things Devon has to offer that is professionally managed by people who go the extra mile, if in the area we wouldn't look at anywhere else. Best in the West. From the moment you arrive and meet your hosts Michael and Linda you feel at home. What a wonderfully welcoming couple who go out of their way to make your stay so enjoyable, the cake and biscuits were delicious as always. 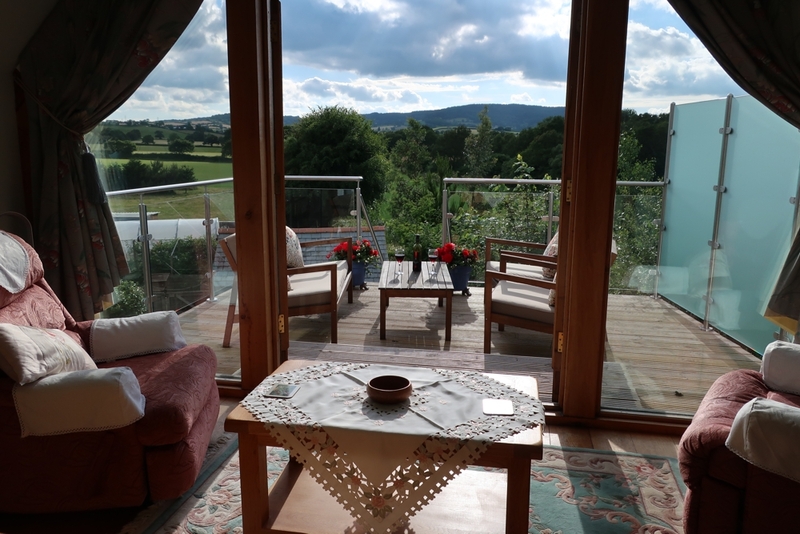 The views from the bedroom and balcony are amazing, we spent many a happy hour watching the deer with her baby and the swallows who were nesting in the eves feeding their young. We were so lucky to have had the best weather of the year so far and ate outside in the "Love Shack" at the bottom of the garden every evening. This is the most well equipped clean and comfortable cottage we have ever stayed in. The attention to detail is second to none and we haven't even mentioned the beautiful flowers that make this cottage so very attractive. The fresh strawberries from Mike and Linda's garden were an extra treat and very much appreciated. We are already looking forward to returning in April, unfortunately for us they were already booked for this September or we would have been back sooner to this very special place. Had another brilliant holiday in this beautiful cottage, spotlessly clean everything you need for a relaxing holiday. Beautiful views to wake up to in the morning, beautiful gardens, barbeque area, seating out area, and a balcony to sit at night and watch the sun go down or sun rise in the morning, so quiet and peaceful. Michael and Linda so helpful if you need anything a mind full of information if you need to know anything of the area and homemade baking all done by Linda would highly recommend this cottage for a brilliant holiday, will be back at some point in the near future. The cottage was immaculate, the cleanest place I've ever stayed in and the interiors finished to an extremely high standard; modern fitted fully equipped kitchen with spotless utensils, luxury en suite master bedroom with full landscape views of the countryside, stunning sunsets and relaxing birdsong, a jacuzzi bath, comfortable lounge and bright conservatory, very clean upholstery and carpets, beautiful beds and an extremely comfortable nights sleep. Easy to locate and minutes from amenities yet still a peaceful place, we felt like we were away from it all. Linda and Michael, who live in the next detached property, are very amenable and welcoming, providing home made cake and fruit on arrival. They kindly provided a lovely cot and high chair for our 8 month old baby and we found the extra utility laundry space to be perfect for us. 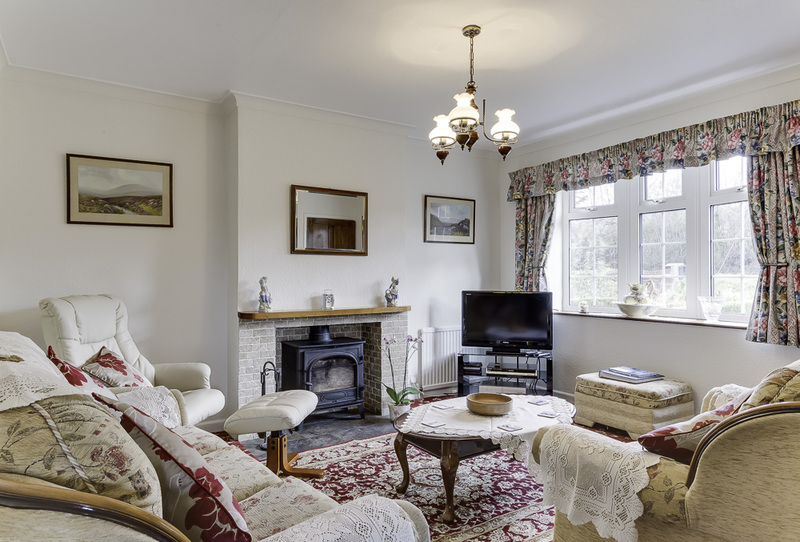 With everything we needed and more, quite simply the best self-catering cottage we've ever enjoyed. Would love to visit again! A little bit of heaven! We found a little bit of heaven tucked in the beautiful countryside near Dawlish. Arrived to a beautiful cottage where laid out in the dining room was a high tea. Fresh homemade cake, special little buns for the children, and homemade biscuits! A bowl of fresh fruit in the gorgeous conservatory, where we spent a lot of time chilling! Upstairs there was a fight for the main bedroom, my husband telling his Mum that it was being claimed his. He felt guilty the next morning awakening to the stunning views from the balcony, then stepped into the ensuite shower and declared, this is heaven!!! 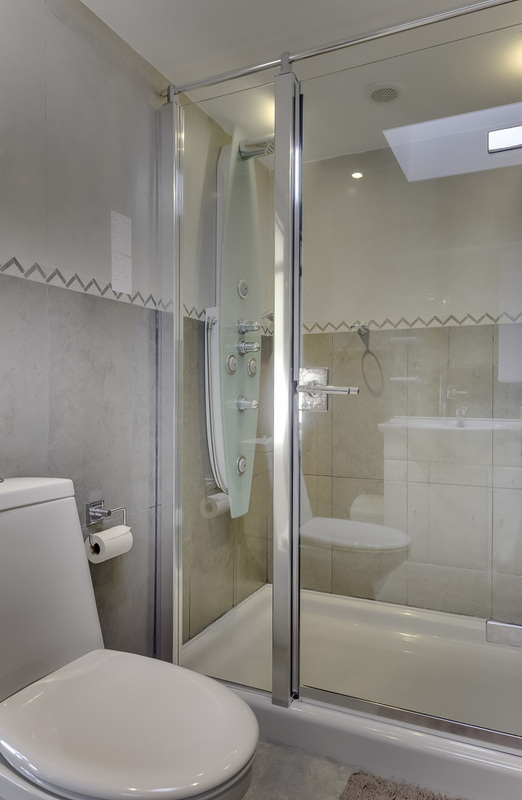 A pummelling jet shower to awaken you, then relaxing in the armchairs in the bedroom watching the sunrise. Yes, it was heaven. It's the little things that matter on holiday, the spotlessly clean cottage, a slow cooker, ideal for leaving gammon cooking, enough pots and pans to roast a Sunday lunch, complete with Yorkshire pudding tin! Decent sharp knives, not any previous holidays have I ever found this. Linda and Michael go above and beyond, were fantastic in welcoming the children, providing cots sides for the beds, a nightlight, high chair, melamine children's sets. We were made to feel so very welcome after a long and stressful journey there complete with hospital stay. I'm so glad we found you and hope we can stay again, though book well in advance as our little bit of heaven has been found by others! Thank you both for such a wonderful week. Chris, Julie, Gordon, Elaine, Leyla and Craig 22/10/2016. Best Holiday Cottage. Just back from a brilliant week in this lovely cottage what can I say, beautiful gardens, quiet ,peaceful excellent views ,spotlessy clean, comfortable bed and master bedroom with a magnificent view best thing to look out at it in the morning ,this cottage is well equipped with everything you need for a great holiday, and now we have the owners Michael and Linda a lovely couple nothing a bother to them very helpful, mindful of information on this lovely part of the world , Linda also leaves you beautiful home baking cake and biscuits and fresh fruit, milk, tea and coffee to get you started , loved it so much going back next year really looking forward to it. 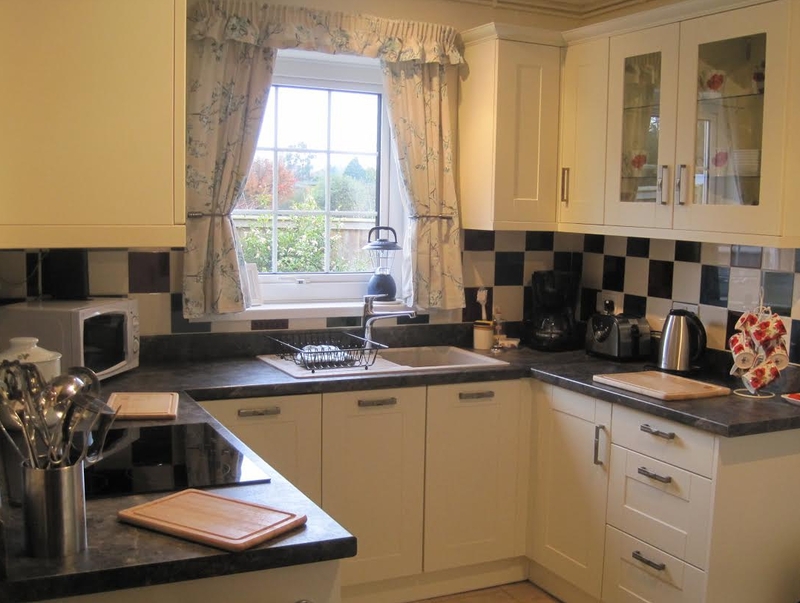 We had a lovely holiday in your beautiful cottage. Thank you for the lovely homemade cake and biscuits. We would recommend Powderham Castle, and The Round Robin Steam train to Dartmouth for a good day out. 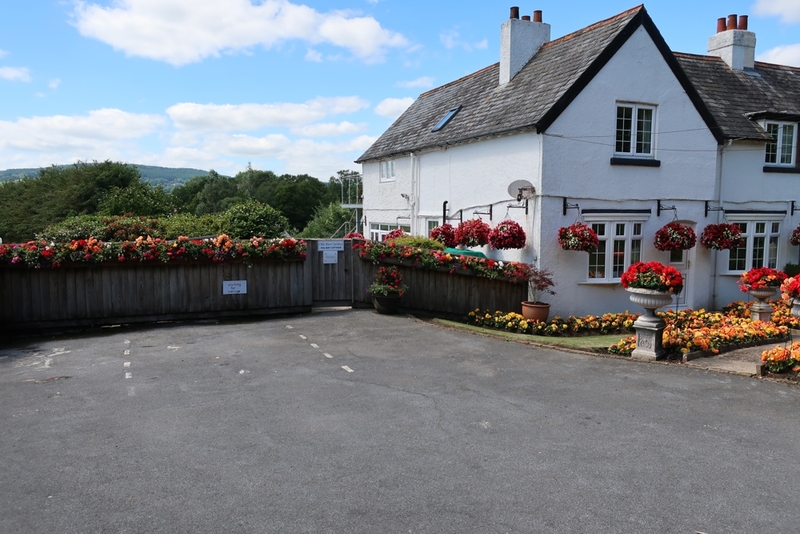 We had a nice meal at The Smugglers Inn, and the walk to the Ship Inn and Anchor Inn for a drink at night was great. We hope to come back again soon. Thank you Linda and Michael, for letting us staying your lovely cottage. 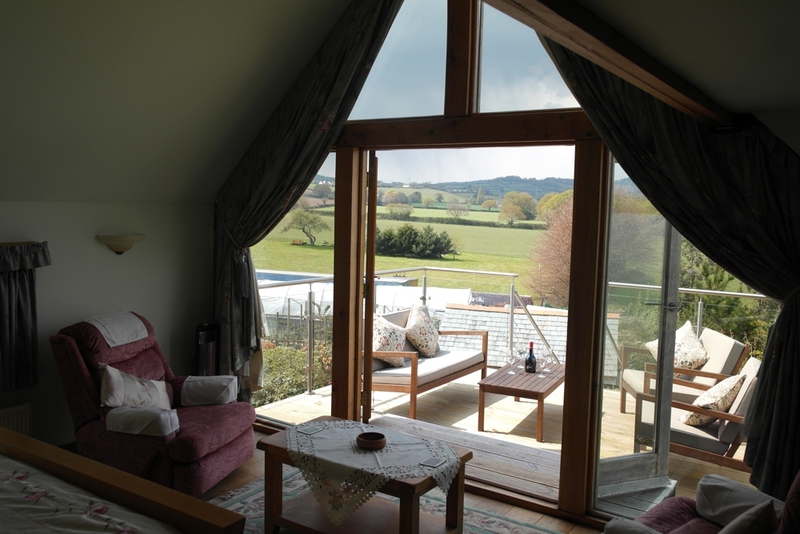 We felt instantly at home and enjoyed the many luxuries the cottage has, the jacuzzie bath, the fabulous shower, and best of all the master bedroom, to open the curtains and look out onto that view was a real treat. Steve enjoyed the Lemon drizzle cake, you made an ole man very happy. I managed to get one slice, and the homemade cookies were lovely. Just goes to show how much you care . We had a great relaxing holiday and we will be back. Stunning, Spactacular and Impressive. If there is anywhere better in this area I have been unable to find it and I have been visiting Dawlish for more than 35 years. This cottage is superb in every respect, with every home comfort you could ask for, in fact I'd wager it has more than most peoples own homes. Your hosts Michael & Linda are nothing short of sublime in that nothing is to much to ask and they offer the kind of customer service you could be forgiven for thinking had long since disappeared. Michael & Linda think of things that just make you say quietly to yourself WOW! Think the London Savoy or even the Ritz it's as good as that. The cottage is sensational inside and out. Others have spoken about biscuits & cakes on arrival etcetera so we'll leave that alone and simply say to you: If you can stay at this cottage then do, you will NOT regret doing so. Our first visit will definitely not be our last. Thank you Michael & Linda for your welcome, generosity of spirit, and genuine ability to make guests feel as if they have known you for many years. Oh! for those who need to know: There are numerous very good eateries within close reach, many places to visit and things to do, or the cottage serves as a blinding place to simply relax and recharge the batteries. We look forward to staying with you again. Alan, Sylvia and Emily, 6/11/2015. Lovely cottage, we felt really at home. A really warm welcome, the cakes and cookies were much appreciated. We visit the area yearly, and this is the best place we have stayed. Alan, Rachel, Bethany, Paige,and Hayden, 24/10/2015. Comfortable beds, a great shower and a cake on arrival!!!! All made for a promising start to a great holiday. We have ventured down the coast as far as Brixham, taken the steam railway to Kingswear and Dartmouth, followed by a harbour cruise, we climbed 2 Dartmoor Tors, all with blue skies and dry sunny days. Great for October. We had a thoroughly enjoyable week, made all the more so by returning each evening to this very comfortable cottage. Many thanks to you both. Thanks for a great holiday, and the wedding cake you left for Michael and Sarah, God bless and see you next year. Pete, Dot, Michael and Sarah, 19/9/2015. We have thoroughly enjoyed our stay here, and we are all very grateful for the kind welcome last week. Thanks again for the wonderful cakes and biscuits!!!! The house is spectacular and nothing seems to be out of place. 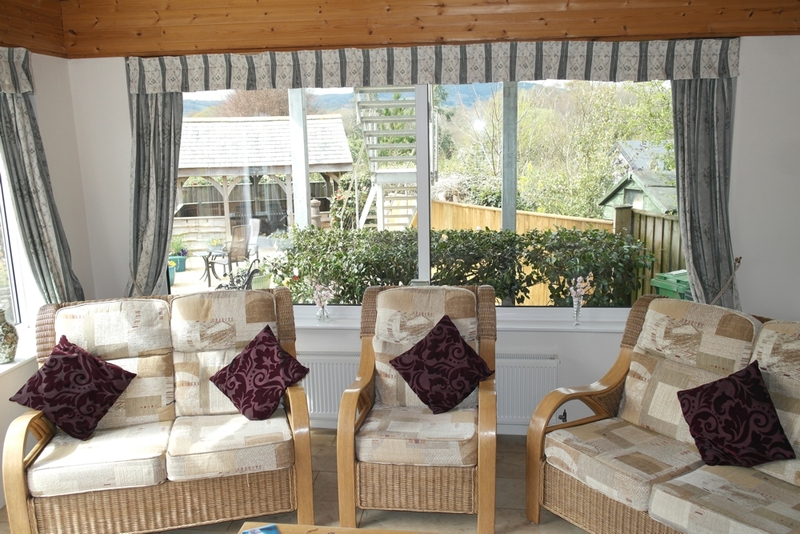 We love the views and most of all we loved the homely feel of the cottage. Thank you. Philip, Susan, Anthony and Rebekah. Ilkley Yorkshire, 14/8/2015. I dont think I have met such lovely and gracious hosts. Cakes, biscuits, cottage were an unbeleivable extra. We had a wonderful week and felt really at home staying with you. We hope to come back. Mary, Edna and Sylvia, Bedford, 11/7/2015. Thanks very much to both of you for a truely lovely time in this beautiful cottage. We had a great week visiting some lovely places in Devon and relived some memeries of times past. Some towns have not really changed that much. The weather in general has been really good too which always helps. As is having such a lovely place to come back to. You made use feel so welcome from the minute we arrived. This cottage is a credit to you both. The views here are so stunning, a great place to relax. We hope to come back here in the near future, so thanks again for helping us have a lovely holiday in Devon. Looking for forward to the next time. Debbie and family, Chelmsford, 27/6/2015. Lovely cottage, felt very comfortable, and relaxed, especially the cake and biscuits - very nice touch, just what was needed after a 7 + hour journey. Would recommend to family and friends. All the little extras make this place very special. Lesley and Bob, Doncaster, 16/5/2015. Michael & Linda, a big thank you for letting us stay in your beautiful cottage, the cakes and biscuits were to die for, and a lovely bowl of fruit, what more could anyone want. The cottage is outstanding, home from home with every comfort you could wish for, and to be able to take home some plants as well makes it very special. We are all looking forward to returning next year. Julie, Pete, Yvonne and John, 25/04/2015. Thank you so much to Michael and Linda for letting us share this wonderful cottage. You have thought of everything, and with such a lovely friendly welcome. We enjoyed the cake and cookies very much and also the basket of fruit. 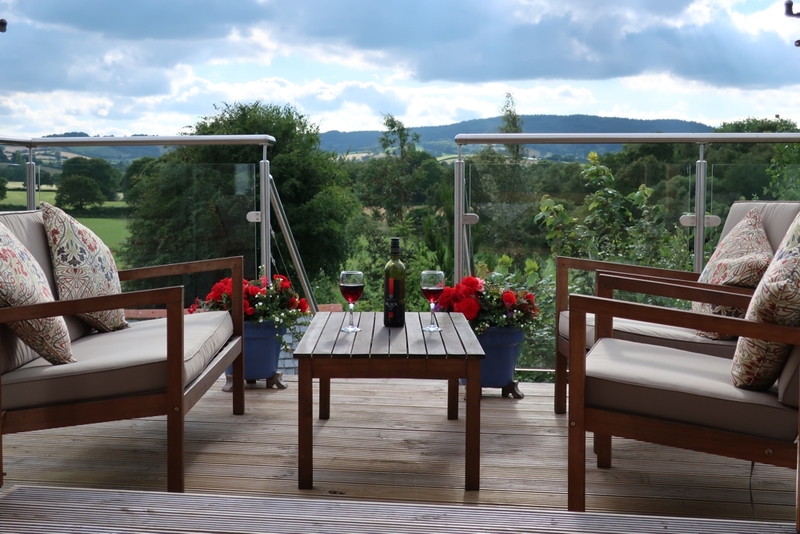 We had a wonderful week of beautiful sunshine, and relaxation on the terrace. Already looking forward to a return visit at the end of the year. Also a big thank you for all your hard work it must take to keep such a spectacularly beautiful garden, which was much enjoyed. Paul and Mary, Oxford, 18/4/2015. Thank you Michael and Linda for the warm welcome on arrival. the cake, biscuits, and fruit were lovely. Your cottage is so lovely, warm and comfortable. We had a lovely weeks stay. Thank you again. We hope to be back soon. Ann and Graham, Chepstow, 11/4/2015. A warm, comfortable stay with extra little luxuries. Fantastic shower, jacuzzi bath, tasty cake and cookies! Thank you so much. Sarah, Jenny, Matt, Esther, Troy and Seth, Bradford on Avon, 6/4/2015. Thank you for the use of your cottage, as a home for a lovely week. Everything we needed was to hand, you really thought of everything! Hope to see you again, and return to this lovely cottage. Ali, Jo, Lynn and Ewan, Southampton, 27/3/2015. Thank you for the wonderful welcome and lovely cakes. We have had a great holiday at your cottage. Everything was just prefect, and we look forward to returning, the gardens are beautiful as are the views. Once again Thank you. Gillian, Marjorie, Eddie and family, Co Durham, 26-7-2014. We have just come back after our first wonderful holiday here. It goes without saying (but I will) the effort Linda and Michael go to in making this a holiday to remember. They are both so welcoming, Cakes and Biscuits too. We never had this anywhere before. David Lynn and Michael, Sheffield, 19-07-2014. Thank you for letting Jayne and myself stay in your wonderful cottage and making us feel so welcome The cakes and biscuits you made where delightful and added a real personal touch. Dawlish is a very special place for me having lived here when I was younger and staying here these last few days has been more special. We hope to be back very soon. Once again Thank you. Steve and Jayne, Upton The Wirral, 05-07-2014. What a wonderful cottage. This cottage has everything. Really enjoyed every minute of this holiday. Thank you Linda and Michael, for making us so welcome, and we look forward to September. Thank you for the delicious cakes and biscuits and for the lovely flowers for everyone's enjoyment. You cannot beat this. Thank you once again. Glyn and Yvonne, Huddersfield, 31-05-2014. Thank you so much for letting us stay in your beautiful cottage. We felt so relaxed as soon as we arrived, we received such a warm welcome along with the wonderful cakes, biscuits, and fruit, which we enjoyed all week. This is the best cottage we have ever stayed in, it has everything you could ever want or need. We will definitely recommend it to our friends and family. Bob and Rosemarie, Poole, Dorset, 17-05-2014. Our third visit. Early summer weather has been god. Managed the Jurassic coast cruise from Exmouth, great. Cottage as comfortable and clean as usual, and the cakes and biscuits where better than the Great British Bakeoff !!! Good to see the spring garden is as good as the summer display. Thank you Michael and Linda for letting us stay, the friendly chats and laughs. Hope to see next year. Derek and Maureen, West Midlands, 03-05-2014. Thank you both for the very warm welcome, fantastic cakes and biscuits Linda. Such a homely feel, amazing views and everything we could ever need. God Bless. Moira and Dave, Plymouth, 19-04-2014. A beautifully decorated cottage with gorgeous views of the countryside The fruit, cakes and biscuits were lovely and when we arrived the welcome was second to none. We sat outside for meals many times and the garden was well maintained and pretty. This was the best cottage we have ever stayed in Thank you Linda and Michael. Ian and Sue, Norfolk, 05-04-2014. Stayed in many cottages around the country, this is definitely at top of the list. Great views and facilities. Cakes, biscuits, and fruit made for a very warm welcome, nothing was to much trouble for Michael and Linda. We enjoyed the bird watching from the bedroom. We will definitely come again and we will recommend it to our friends and bird watching friends. 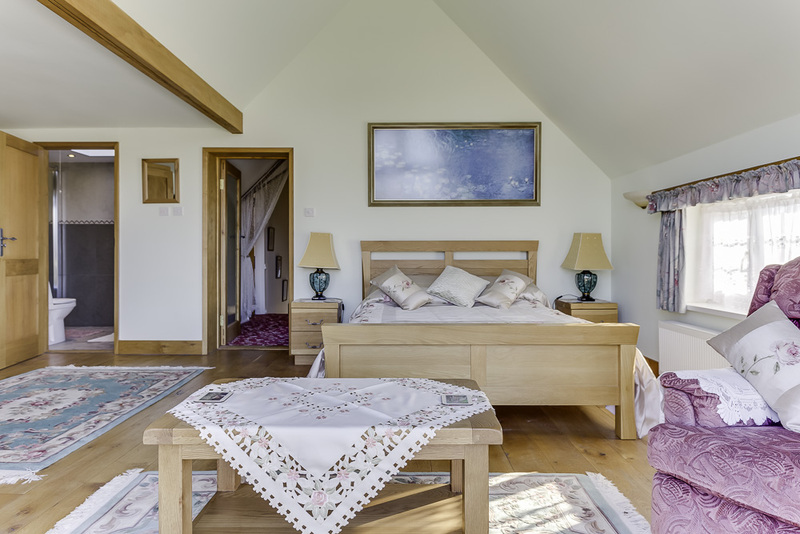 You couldn’t want for anything more from a cottage and Linda and Michael certainly know how to look after their guests and go that extra mile. Eve & David, Northwich Cheshire 15-02-2014. M.J. and L.P. Disney, Peaches Barn, Olde Barn Nurseries, Exeter Road, Dawlish, Devon, EX7 0NZ, United Kingdom. © 2011-2015. Olde Barn Nurseries.